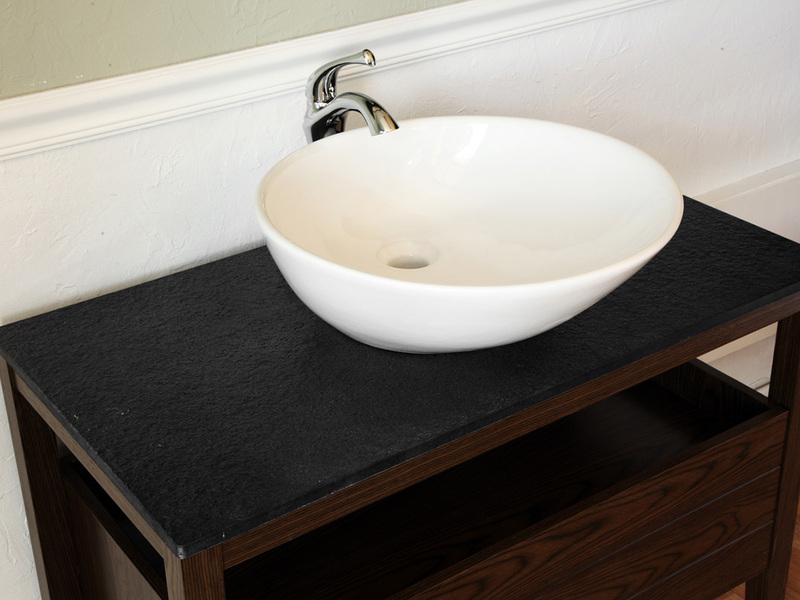 The Ambracia Single Vanity has a distinct modern design with its lovely white vessel sink sitting atop a burnt stone counter top. 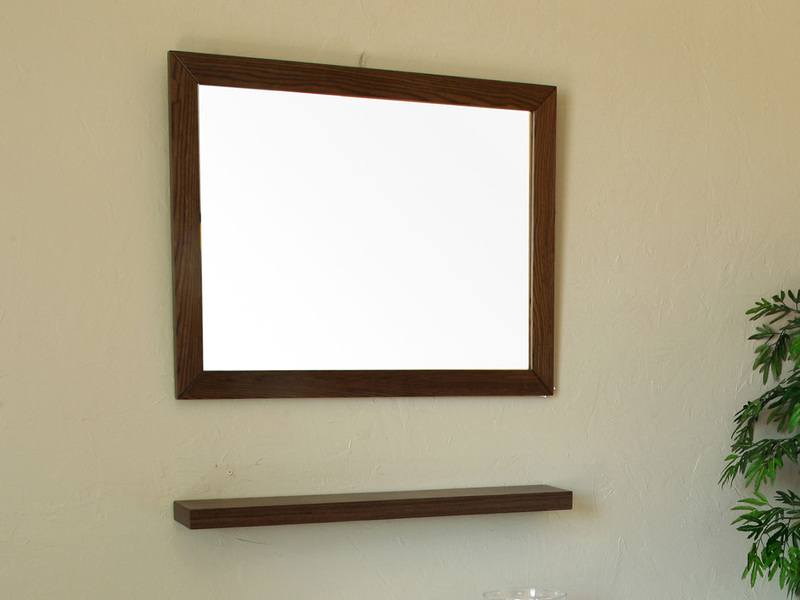 The cabinet is finished with warm dark walnut, creating a look that is both inviting and chic. 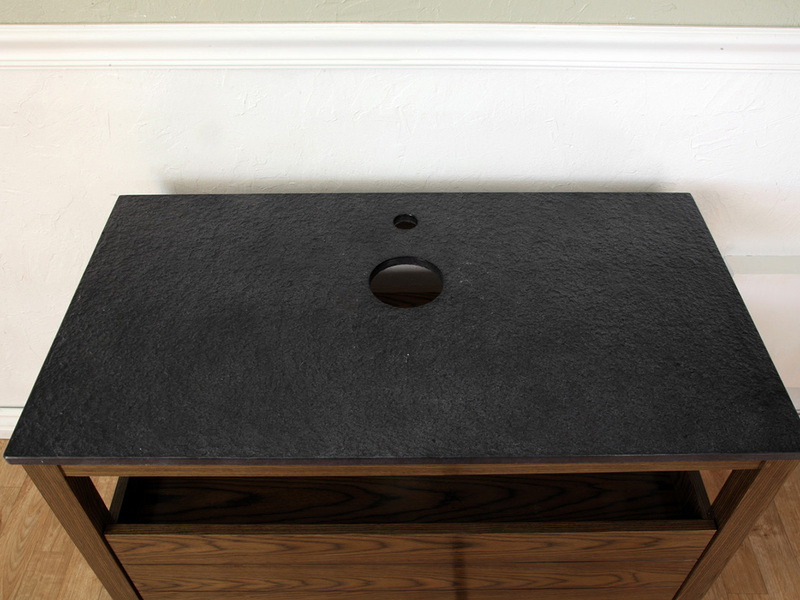 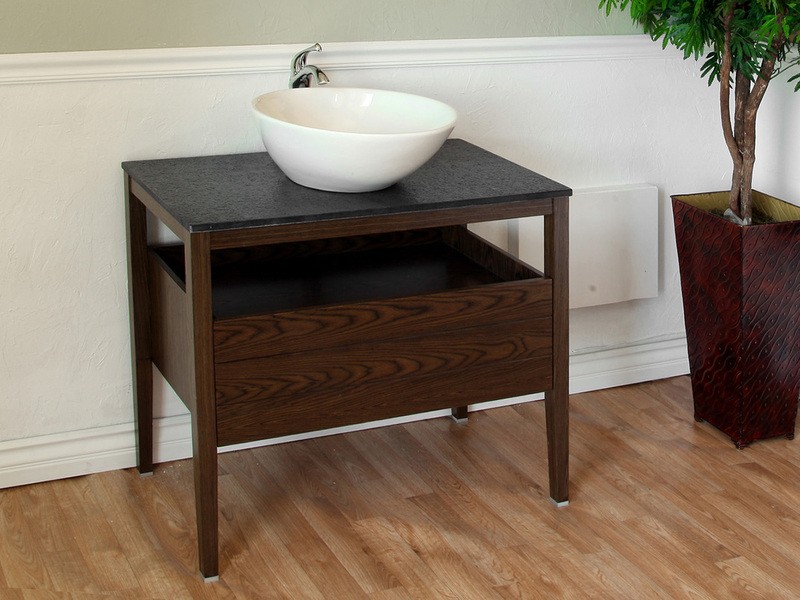 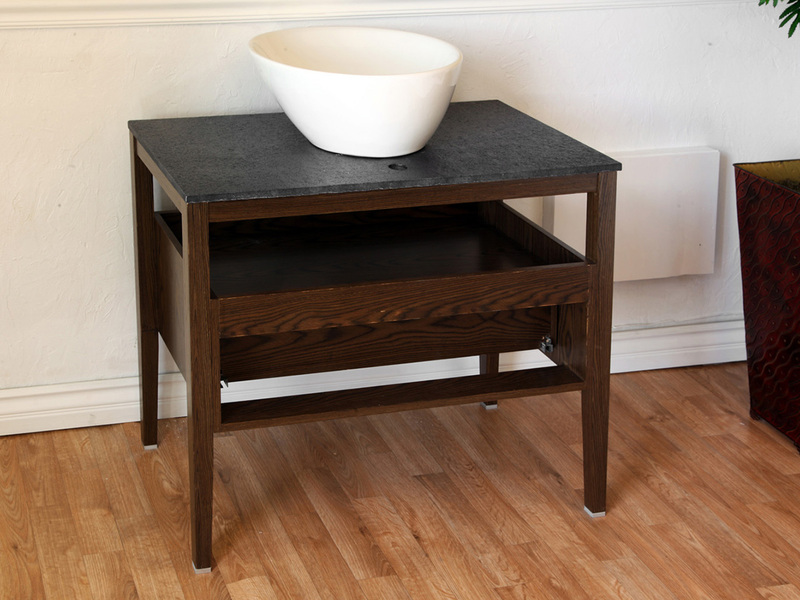 This vanity is not only stylish; it's functional as well with its pullout drawer and shelf. 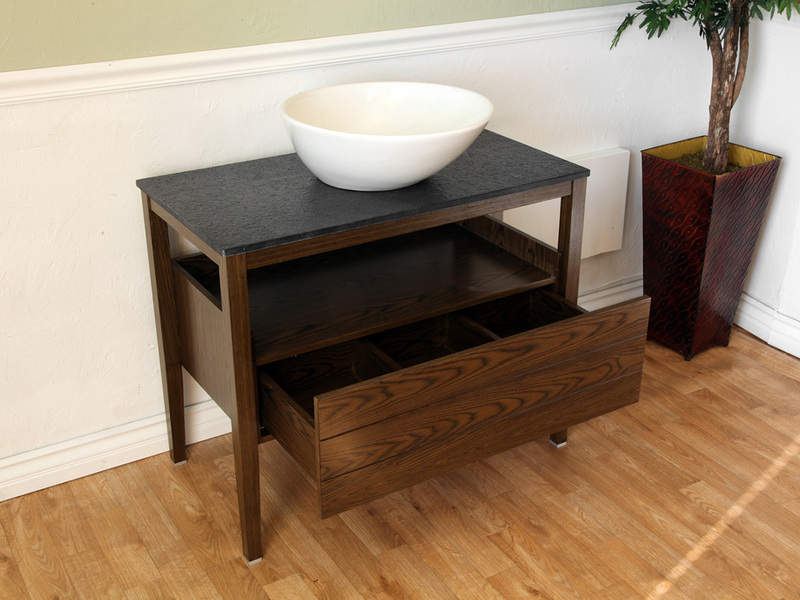 The shelf is great for lying out easy to access items such as hand towels, while the drawer has built in dividers to organize your bathroom accessories. 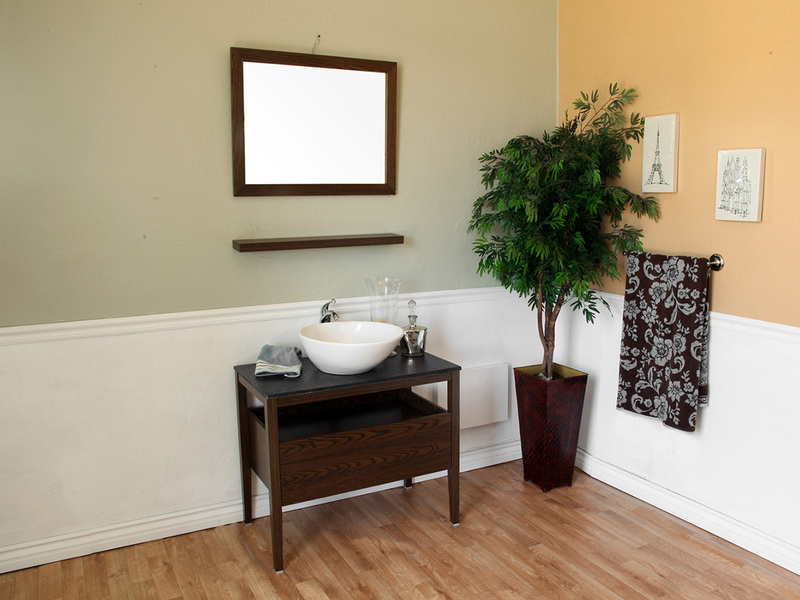 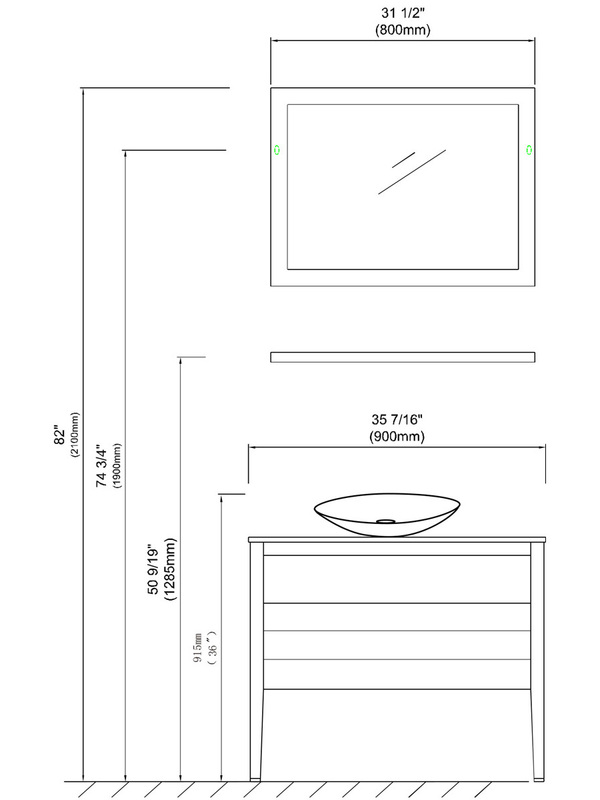 This vanity is truly a great way to modernize any bathroom, especially with the optional matching mirror with shelf available through the drop down menu.